Blue Corn Comics -- What's Black and White and Red All Over? Step aside, Superman. 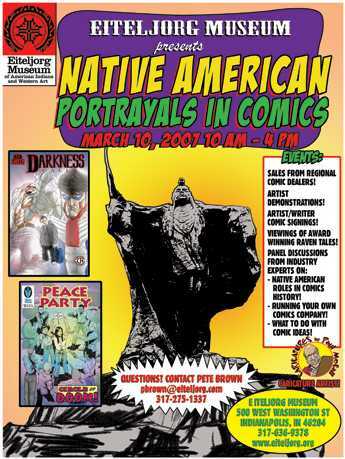 The Eiteljorg Museum in Indianapolis is hosting a one-day program on "Native American Portrayals in Comics." 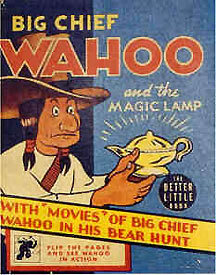 From Turok to Tribal Force, BIG CHIEF WAHOO to SCALPED, the spotlight will shine on seven decades of Indians in "funny books." Rounding out "Native American Portrayals in Comics" will be a showcase of Native comics and images, a Native cartoon video, demonstrations by caricature artists, local and regional comic vendors, and more. From academics to artists and writers to parents and children, March 10 will be an enlightening and fun-filled day for everyone. "An event of this kind is long overdue," said Schmidt, who publishes PEACE PARTY, a multicultural comic featuring Pueblo Indians. 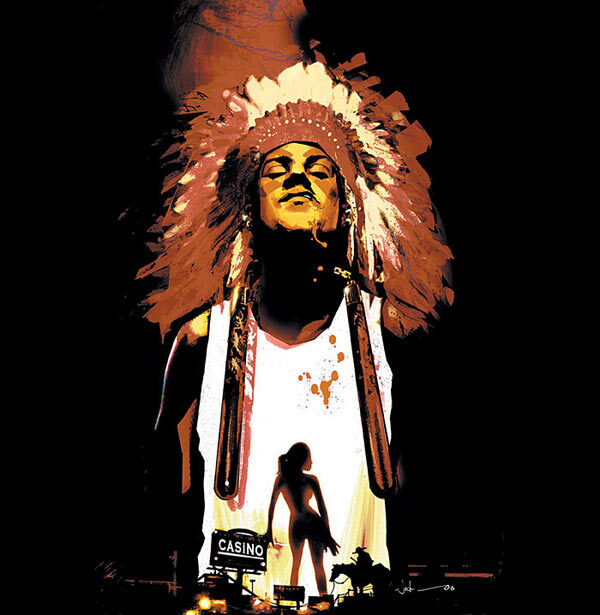 "For centuries we've seen the Indian only through his reflection in the white man's accounts. Now we'll see how the world looks through the lens of Indian comics."